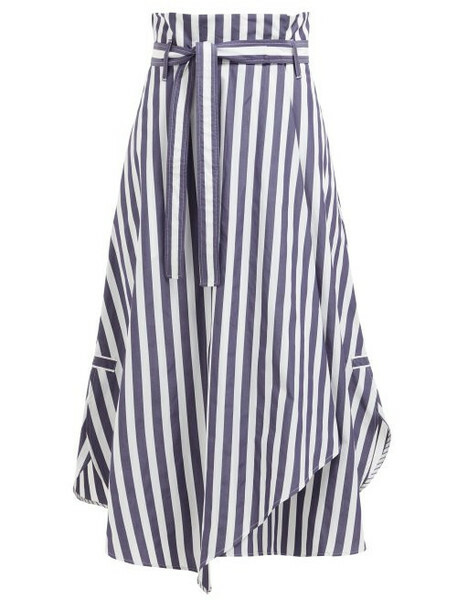 Weekend Max Mara - Express a carefree air with Weekend Max Mara's navy and white striped Biella wrap skirt. It's crafted from crisp poplin cotton with a belted paperbag waist and a handkerchief hem. Amplify the breezy impression by styling it with a white shirt and sandals.